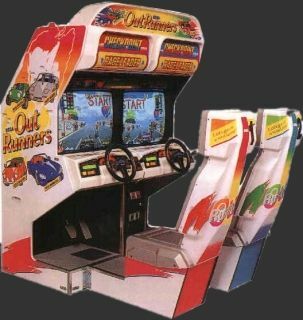 I have a header for sale for a Sega Outrunners. This is a one piece plastic (including the race leader / checkpoint) so quite big. In more than average condition, only a little crack on top but can be glued. But complete. Very hard to find if you need this replacement for your machine.